The last two weeks have been a reminder of how fragile our life can be. As many of you know, we lost a dear young friend in a tragic car accident two weeks ago. 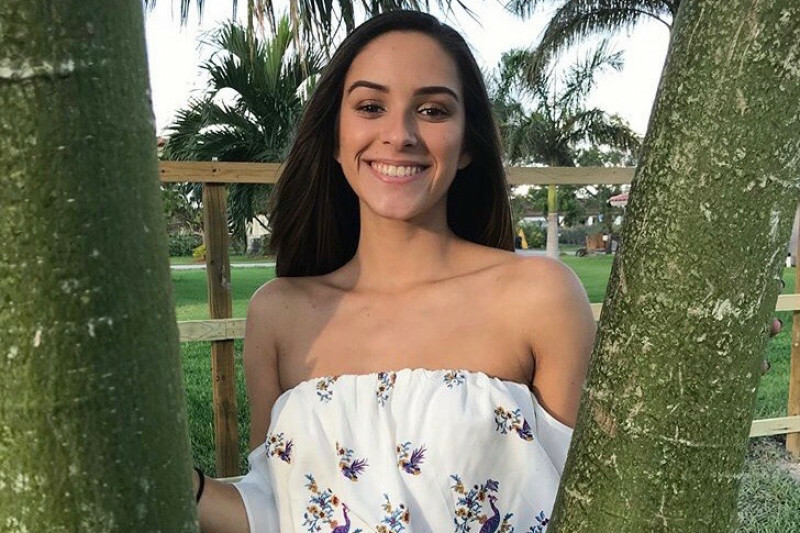 Our young family friend- Emily Martinez, passed away Monday, March 6th at 1am when her vehicle hit a tree and went up in flames before rescue could get to her. As our family got the news, each person reacted differently- from screaming to crying, we have all felt the loss of not having this beautiful girl around anymore. This is the first time we experience tragic loss from death as a family and it’s been Gus’ and my priority to support our children through their process of mourning in a healthy way. Loss is all around us and it’s a part of what we must teach and process with our children. Sometimes loss comes in the way of losing a family pet, or losing a grandparent, a sibling or even a parent. 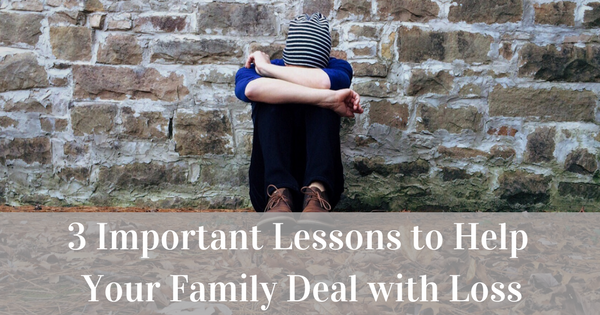 Loss can also come from moving from one home to another, losing a job, losing a friend who doesn’t want to talk to us anymore or from having financial loss or even losing your dream of the ideal family. We never know when loss will knock at our door, but when it does, I would hope your family is as ready and as strong as can be, to process the pain and the questions that arise. Dealing with loss doesn’t start the day you have loss, it starts before. Dealing with loss in a healthy way starts with how you deal with joy and happiness and other emotions like anger or bitterness. Why? Because loss is one more emotion we have to manage and if we never learn to manage other emotions in a healthy way, then it will be hard for us to manage loss. That is why I am a strong believer in parents learning about emotional health! When parents take responsibility for their emotional health, it becomes much easier for the children to manage their emotions for good and for bad. Loss is dealt with differently by each person. Some people in our family cried and screamed, while others just sat silent to the news. It was important we had created a family culture that offers a safe space where everyone can be himself/herself. In the midst of the pain, each person in the family could be who they are and was not expected to be one thing or another or to act one way or another. One of my son’s immediate way to mourn and be of support was to take food to Emily’s mom and little brother. My son’s girlfriend started a Gofundme campaign and helped with vigil preparations- staying busy and productive helped her show the love she had for Emily. Our family shared the news on social media, asking our friends for prayers and financial support for the family. We were so grateful for everyone who donated, even when they did not know Emily personally. My youngest daughter drew a sad face on a post it note and that was her way of processing. Gus and I repeatedly asked our children if they were “ok” and either way we respected their process and verbalized our own sadness. Embrace the loss as hard as that is and move on. In the cycle of healing, we go through the pain, BUT WE MUST RETURN TO JOY willingly. Part of dealing with loss in a healthy way is knowing that loss and mourning is just a part of the process and in this process it is our personal responsibility to return to joy. There are times when the loss is so great that the person can visit and revisit the events, but there has to be a conscious moment to “catch” those thoughts and let them go, knowing they don’t serve us. The truth is there are questions that may never be answered regarding loss and we could ponder on them forever and that is why we must move on with a conscious choice. Notice I used the word CONSCIOUS, because if the difficult decision to move on is not done at a conscious and adult level, then it might never be done. At this point, take all the positive lessons you can from the loss, store them away in your heart as wisdom and CHOOSE to move on. Take time to tell your loved ones how much you love them and what they mean to you. Today is a gift. Tomorrow is not promised. My heart and prayers are with you if you are experiencing loss right now. May God give you peace and courage to continue. Question: Are there any other healthy ways your family has dealt with loss? Please share them below.